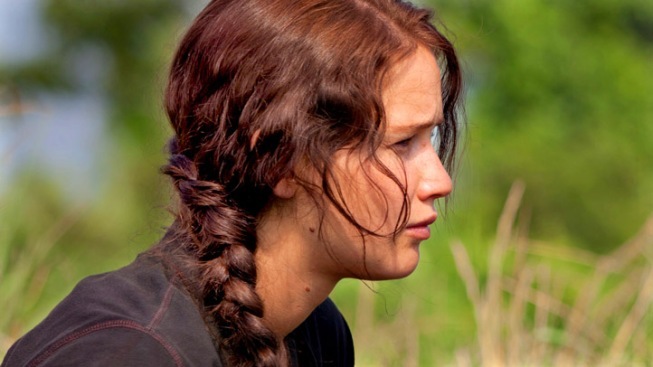 The First "Hunger Games" Trailer is Here. Commence "Squee-ing"
Did you think, with the end of Harry Potter and the imminent conclusion of "Twilight," that we might be experiencing a drought of movies based on tween novels that some publicist somewhere has convinced the media to refer to as a "phenomenon" even though the average person doesn't know anyone who has read them? Worry not. We kid, we kid. Settle down. Of course the "Hunger Games" series is a hotly-anticipated one, and we've now been given our first look via an official trailer. The movie stars Jennifer Lawrence ("X-Men: First Class") as Katniss Everdeen, a young girl living in a post-apocalyptic country known as Panem (which Donald Sutherland pronounces as "Pan Am" in the trailer, suggesting an even more horrific vision of the future) who volunteers to compete in an annual televised competition where poor kids kill or are killed. It's essentially "The Running Man" meets "Battle Royale," but much, much more attractive. The film also stars Liam Hemsworth, Josh Hutcherson, Woody Harrelson, Wes Bentley, Wes Bentley's beard, and Lenny Kravitz. "The Hunger Games" arrives March 23rd, 2012.